Properties in Cape Town average 4.6 out of 5 stars. Property 9: Splendid well-equipped Rondebosch Self-Catering Cottage. Property 11: SUNNY COTTAGE IN TRANQUIL GARDEN SETTING. Property 28: Your home away from home! Property 33: Ideal location; just 50 meters from the beach with sea view. 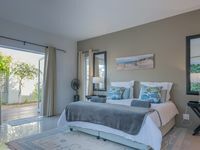 Property 34: Oakburn cottage is located in the beautiful valley of Hout Bay in Cape Town. Property 41: Home away from Home!